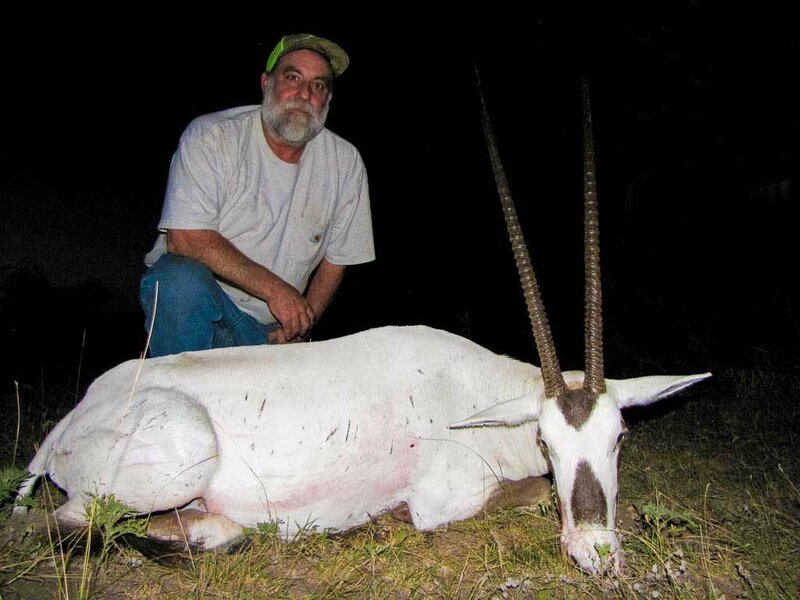 Arabian Oryx Hunting Season: Arabian Oryx never shed their horns which means they can be hunted year round! Their winter coat is longer and darker than their summer coats. 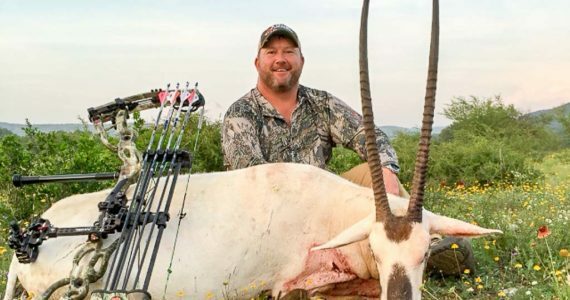 The Arabian Oryx is a beautiful medium-sized antelope that is built for the desert. This endangered exotic may be extinct in the wild; however, it is thriving here at Ox Ranch. 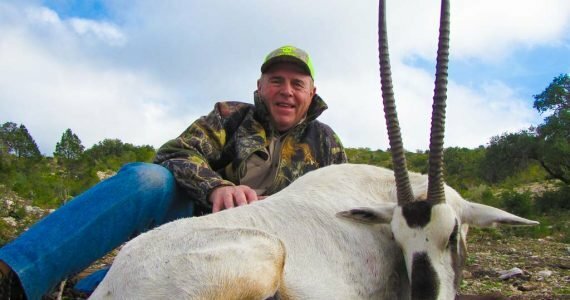 There are now more Arabian Oryx on Texas hunting ranches than the rest of the world combined! 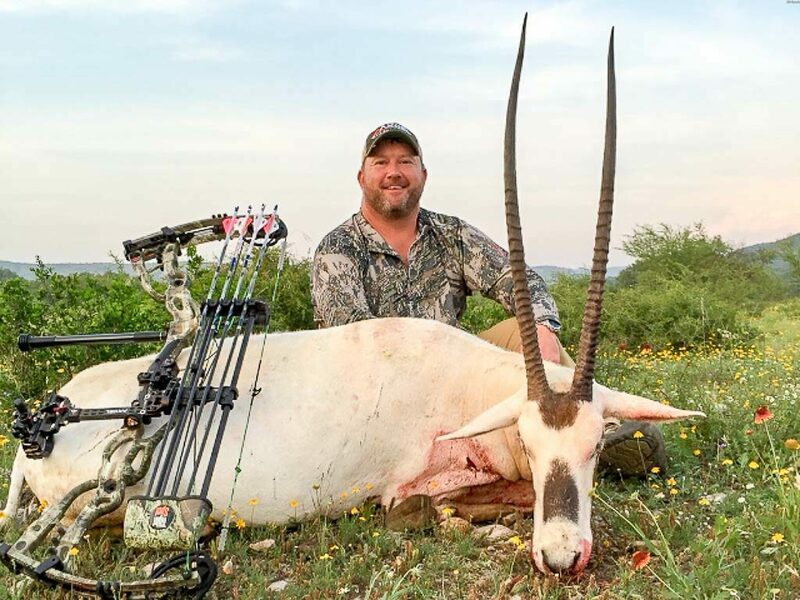 You may hunt these super exotics using any method you prefer, including Spot and Stalk, Bow Hunting, Rifle Hunting, Pistol Hunting, Safari Style, or from a Blind. Our herd of Arabian Oryx are very elusive and perhaps the most skittish species on the ranch! 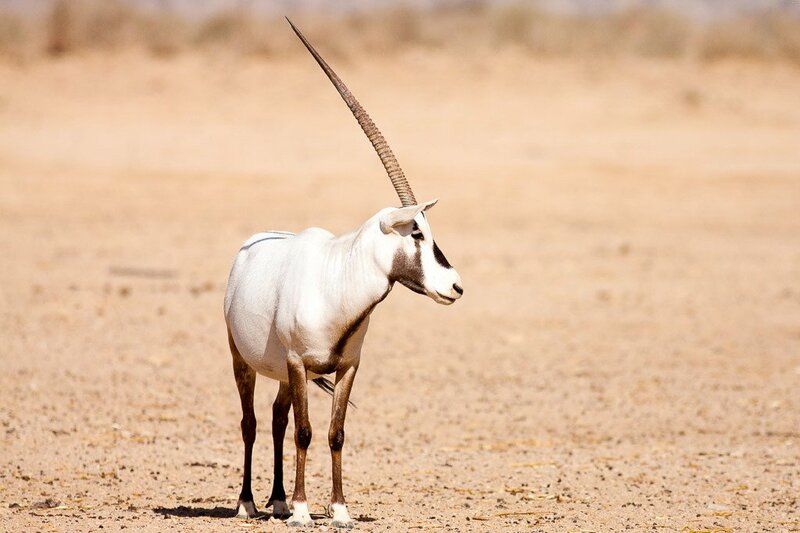 The unicorn myth is believed to have originated from the single-horned Arabian Oryx. 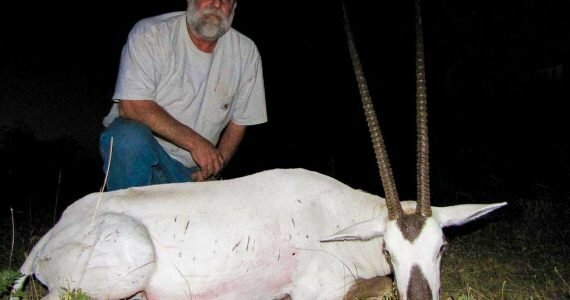 In 1972, the Arabian Oryx was declared extinct in the wild. It is estimated that there are 1,000 existing in the wild today. They can go several weeks without water. Their white coats reflect the harsh desert sun. They will dig dirt beds for resting under shrubs. Single territorial males are rare. 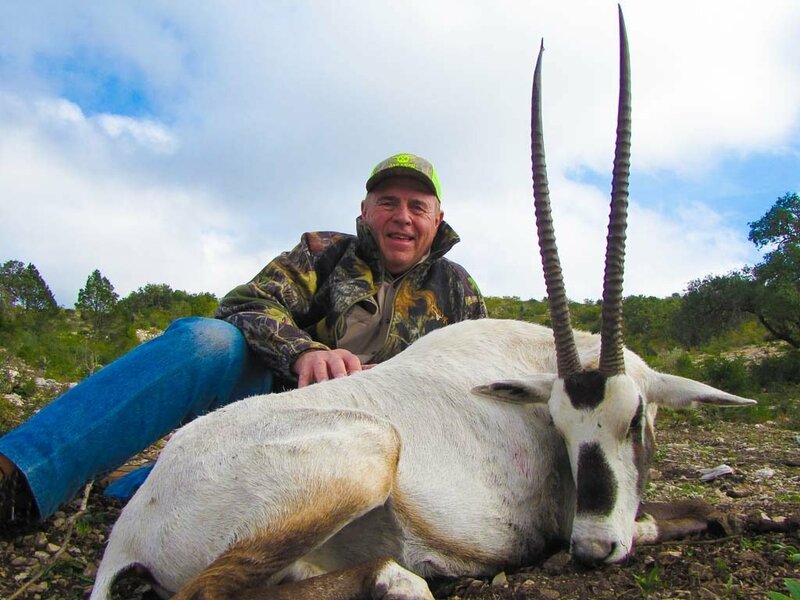 We recommend making Arabian Oryx Hunting reservations well in advance to secure availability.